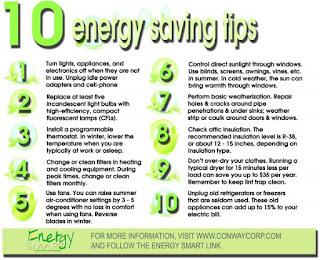 10 Energy Saving Tips - Something New Everyday! 1. Fully load your dishwasher before starting. Select the shortest cycle and allow dishes to air dry. 2. Install motion sensors for us with outdoor lighting. They use less energy than lights that say on. 3. 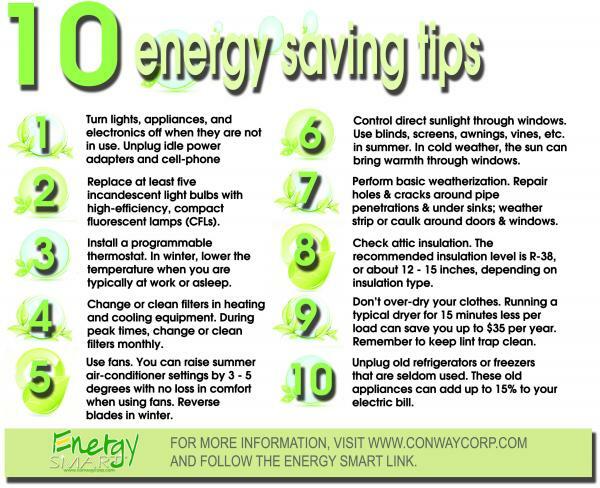 Check for hot and cold spots or drafty areas inside your home near windows, doors. 4. If you have a fireplace make sure it has properly fitting damper and remember to close them when fireplace is not in use. 5. Lower electric water heater to 120F. Drain a few gallons from bottom twice a year to remove sediment that slows heating times. Money :: #4759By Anonymous from USA.